Ski Holidays - Saturday Or Sunday Travel. Which is Best? Tim of The Tasty Ski Company offers his tips and advice for the best day to start your ski holiday! Should I travel on Saturday or Sunday? Travelling to and from a ski resort is never a great deal of fun. Whether it be a 14 hour drive straight from home or the slightly quicker car-train-plane-bus route, the journey is very much a means to an end. It doesn’t help that skiing is one of the least practical sports in the world, with most of your luggage allowance taken up by long-johns and fancy dress outfits. One of the most important decisions you make is whether you decide to travel on a Saturday or a Sunday. Traveling on a Sunday used to be the reserve of luxury ski chalet companies looking to set themselves apart from the pack. However, many holiday providers have cottoned on to this and now there is a genuine choice between the two transfer days. Traveling is unquestionably less busy on a Sunday. This is particularly true on the final ascent into resort. It is difficult to widen a road that is perched on the side of a mountain, so traveling at peak times on a Saturday is only going to get worse. Because most people are traveling on a Saturday the slopes are likely to be less busy on that day for people traveling on a Sunday. Beware of a false economy in certain resorts - destinations that are popular with locals are likely to be just as busy on both Saturday and Sunday. Empty slopes also mean smaller queues for ski hire and lift passes. If you arrive on the Saturday chances are you will be buying these things on the Sunday morning. Queues will be smaller on the Monday morning for Sunday arrivals. The majority of ski accommodation providers still operate on a Saturday to Saturday changeover so there are more accommodation options for this option. It can be frustrating to find your dream chalet only to find they insist on a Sunday changeover. Most accommodation providers will not be flexible. Returning on a Saturday gives holidaymakers a day off on the Sunday before heading back to work on a Monday. This is also an important point to consider for families with children in school. Thanks Tim for the pros and cons. 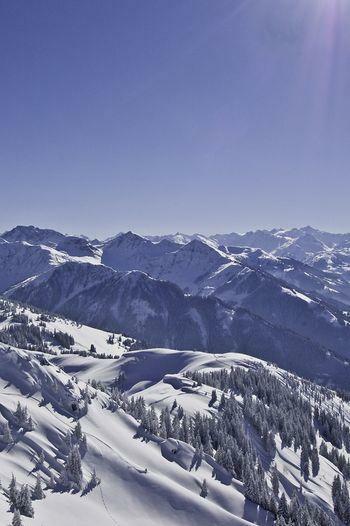 The Tasty Ski Company operates luxury chalets in the Grand Massif and the Portes du Soleil. Heavy Snow Due at the Weekend - Be Prepared! Lindsey Vonn Gets 63rd World Cup and Goes into the Record Books!